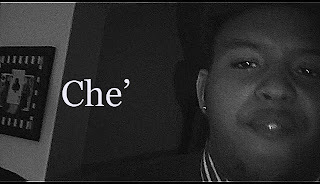 New Artist Spotlight: my brother and fellow TG writer Che' AKA Cheese, hes a college student who enjoys "freestyling over good beats", he has collaborated with a local producer by the name of The Elements and is currently recording a mixtape/album. "Jimmy Hendrix, JKane, Frank Sanatra,The Notorious B.i.g., 2Pac, Jay-Z, Kanye West, Janis Joplin, Talib Kewli, Pharell Williams, Ray Charles. Because they all made great music. this list can go on forever..."
I [JKane that is and don't you forget it] am featured on his lead track "Get Around Girl", which also features local singer, song writer Cedric. TG TRAX below if you like it download it ITS FREE. this song is tight cheese...love it cuzzo...its funny...and true..